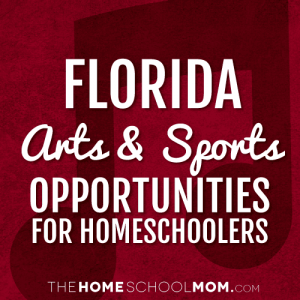 Our listing of Florida sports and arts opportunities for homeschoolers is ordered alphabetically by city, with arts resources in the first section and sports resources below. If you would like to submit a Florida arts or sports resource, you may do so using the red button above. Museum tours for Homeschool Families and Art Classes for Homeschool Students. Classes designed especially for home schooled students using clay, paper mache, cartooning, drawing, painting, toy making, journaling and more. Call for details 239-939-2787. 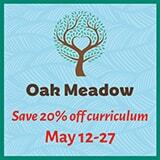 Dance, Theater, Music, Art and Creative Writing Classes for all ages. Private Lessons offered in voice, guitar, piano, drums, violin, music theory, songwriting, and acting. The Music Box also offers a variety of performance groups based on the student's age. Providing individual or group music lessons in your home or mine, including piano and voice lessons, music and movement, and more. Check out website for more information. Soul studios dance is a place to learn the art of dance and movement. Classes for all ages and skill of dancers. From Mommy and me to competitive dance. Schedule online at website. McKay's Music offers private in-home music lessons, group lessons, music workshops and music summer camps. 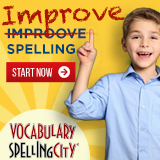 Ask about the FREE trial lesson when you call! Acoustic Guitar, Bass Guitar, and Electric Guitar lessons. Year Round Swimming Lessons. We have facilities where we do classes or we can send a Certified Instructor/Fully Insured to your location for classes. This martial arts school specializes in teaching life values, confidence, bully proofing and discipline through the martial arts. They have been teaching in Pembroke pines florida since 1999. Junior golf programs to teach kids all aspects of how to play mixing up lessons and games to keep the experience fun! Westphalen Tennis provides the highest quality tennis lessons to all ages and levels! From just learning the sport to getting fit, to making a pro run! Recreational gymnastics, as well as tumbling for both males and females.